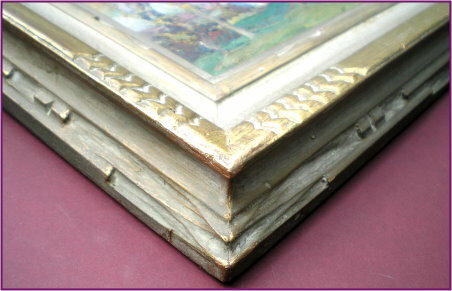 Frame is original to the painting. Size – h: 9 in. by w: 12 in. Harry was born in Cambridge, England in 1878 and immigrated with his parents to Toronto in 1881. 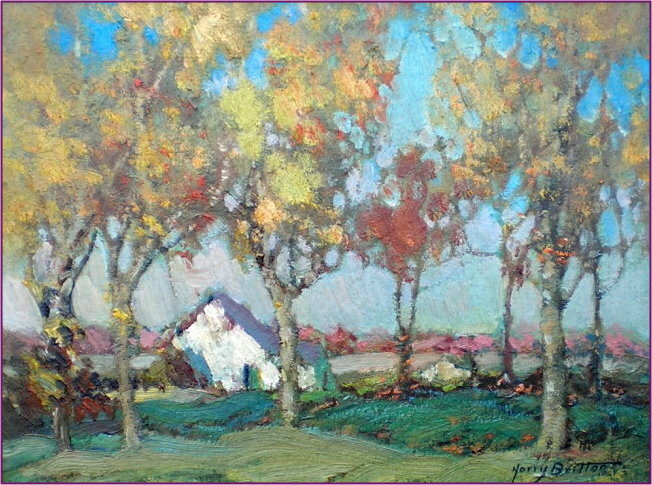 At the age of 24 he first studied art with F. McGillivray Knowles in Toronto and continued intermittently for six years. He went back to England where he studied at the Heatherley School of Fine Art, London and the London School of Art. He gave classes in St. Ives, Cornwall where one of his students was Henrietta Hancock who later became known for her seascapes and portraits. They married and lived in England until 1914. Returning to Toronto, Britton augmented his income by giving private art lessons. 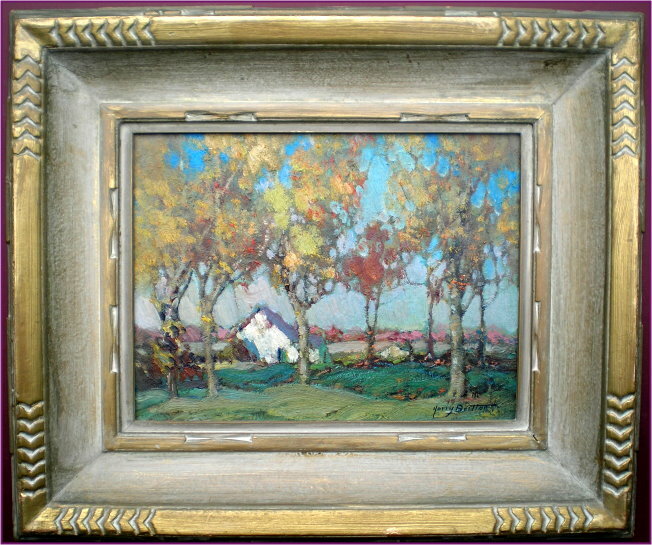 He and his wife both painted and exhibited many marine and coastal scenes. Harry Britton was quite active in the art community and was a member of the OSA, ARCA, RCA and exhibited annually with both societies. His work was influenced by the traditional 19th Century English and French Schools and his portraits have a soft luminescent quality. He is represented in the National Gallery of Canada by five paintings all of which were painted in oils on canvas or wood. 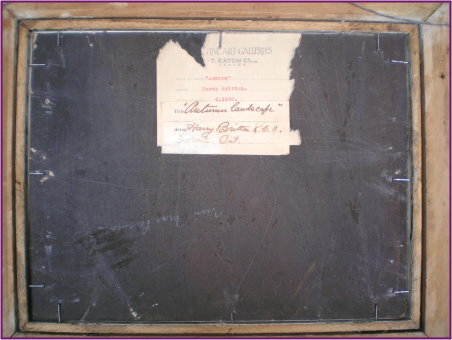 For smaller works like “The Thames, London” now in the Art Gallery of Ontario, he used pressed fibre board. His painting “Interior of a Sail Loft” which is in the NGC, is an especially fine work which has a fisherman mending his sail as the focal point, with the folds of the sail falling like rhythmic furrows curving towards the lower part of the picture, balanced by the interior walls and window of the loft in the upper part. Britton and his wife lived for a few years again in England while travelling in France, the Netherlands and Italy. Following their return to Canada they lived in Nova Scotia. 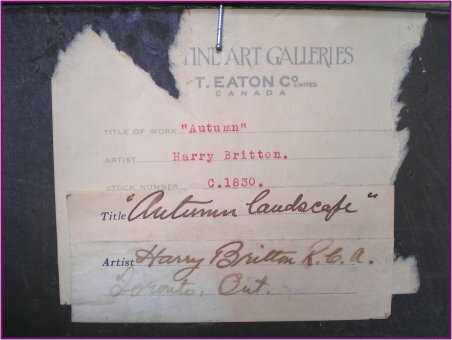 Harry Britton died 1958 in Toronto at the age of 80. His wife, Henrietta, died in 1963 at the age of 90.